If chocolate be the food of love, indulge on: Chocolate has long been Cupid’s choice every Valentine’s Day, and it can't get better than ROYCE’, which is poised to win many hearts this February with three passionately curated gift sets filled with captivating temptations. For those who want the finest for their cherished ones, ROYCE's exclusive limited-edition chocolate set is a signature offering that brings the best of Hokkaido to Malaysia, a testament to a romance that reaches across continents, like how the rising sun envelops the world in its warm embrace. 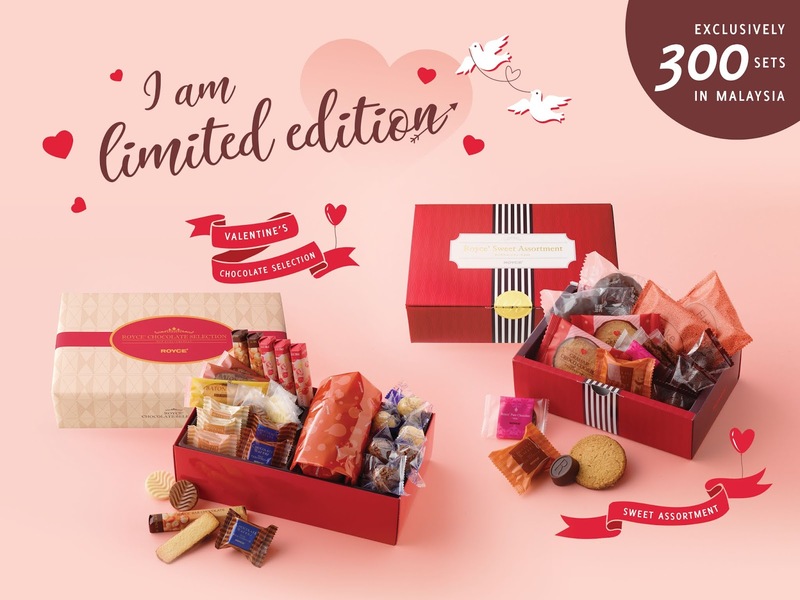 Only 300 of these Valentine's Chocolate Selection and Sweet Assortment sets are available throughout Malaysia, so it’s clearly not a treasure trove for everyone - it’s purely for the cherished one closest to your heart, to show them how important they are to you. Valentine's Chocolate Selection comprises classic favourites like Pure Chocolate “Creamy Milk” and “White”, Chocolate Wafers “Hazel Cream”, Baton Cookies “Coconuts”, Nutty Bar Chocolate, and Fruit Bar Chocolate, as well as seasonal treats like Popcorn Chocolate, Potechi Crunch, Chocolate Wafers “Tiramisu Cream”, Baton Cookies “Hazelnuts & Cacaonibs” and Jagaimo Chocolate, showcasing 31 pieces for RM138. Sweet Assortment, meanwhile, is packed with limited seasonal items such as Royce’ R Chocolat Caffe Mocha, Chocolate Wafers “Caramel Cream”, Pure Chocolate Venezuela Bitter & Milk, Graham Choco Cookie, Gateau Ganache & Flake Milk, featuring 17 pieces for RM78. Research has suggested that chocolate’s antioxidant properties could be beneficial for health, especially chocolate with high cocoa percentages. 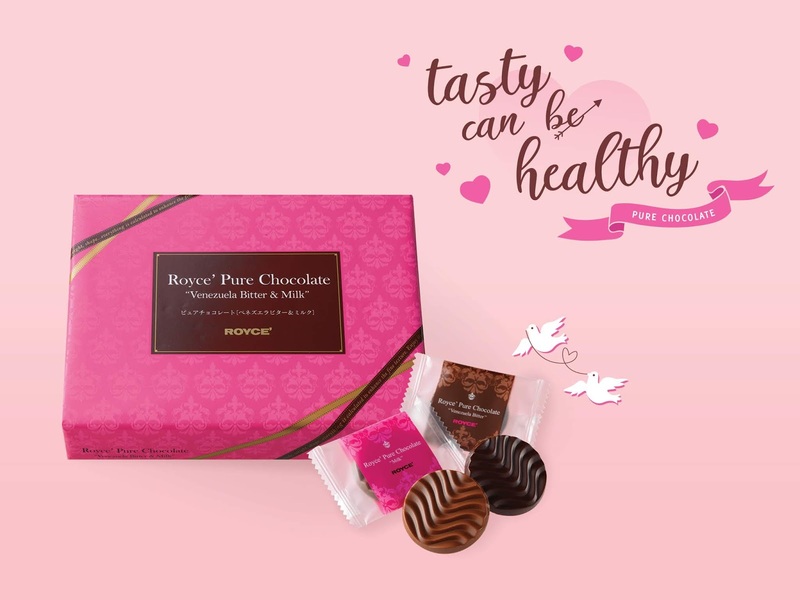 Caring for your loved one means giving them a wholesome treat - ROYCE’s second Valentine’s Day recommendation is the Venezuela Bitter and Milk Pure Chocolate, a duet of two varieties of creamy cacao and milk chocolate discs with 69 percent and 42 percent cacao respectively, wrapped up pretty in pink, with a total of 40 pieces going for RM52 throughout this season of love. Venezuela is regarded as where cacao blossomed, since it was the first country to supply cocoa beans to Europe; make new memories and precious moments by complementing this ROYCE' set with a conversation with your loved one on how your relationship first bloomed and how it has evolved into a delectable delight in its own right. The perfect pair of lovebirds deserve nothing less than the perfect pairing of chocolate and coffee. Our final Valentine's recommendation is the seasonal R Chocolat Caffee Mocha, stamped with R for Romance. Encased in each piece of semi-sweet chocolate is a harmonious coupling of cookie crunch and mocha, with the luxurious coffee enhancing the smooth textures of the luscious chocolate, similar to how one partner brings out the best in the other. To receive chocolate on Valentine's Day is lovely, but to receive ROYCE' chocolate on Valentine's Day is extra-special. 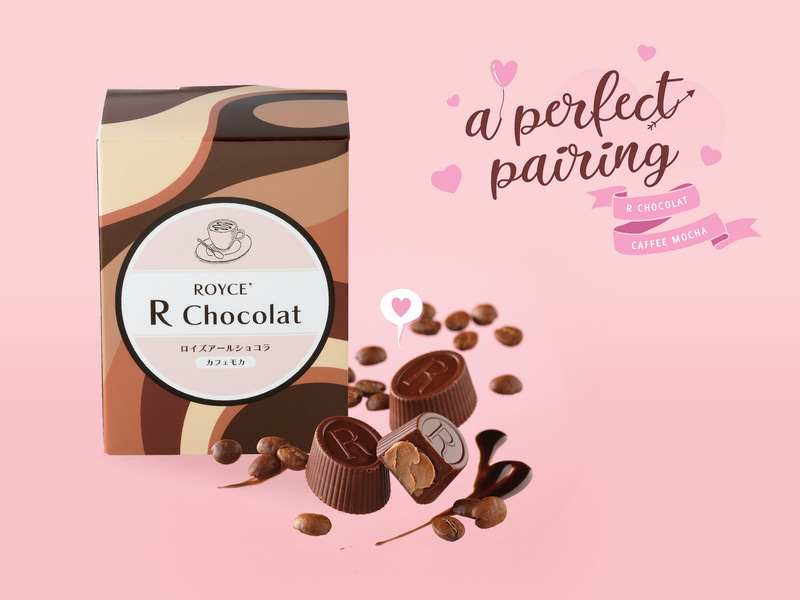 Delight your soulmate anytime from 1 February to 14 February 2019 by heading to your nearest ROYCE' store - https://www.royce.com.my/royce-shop/ - or order on www.royce.com.my for free delivery when you spend RM200 and above. This post was brought to you by ROYCE'. I guess nobody is giving me one. Sobssss!!! !